Let Family Guy keep your drink cool! 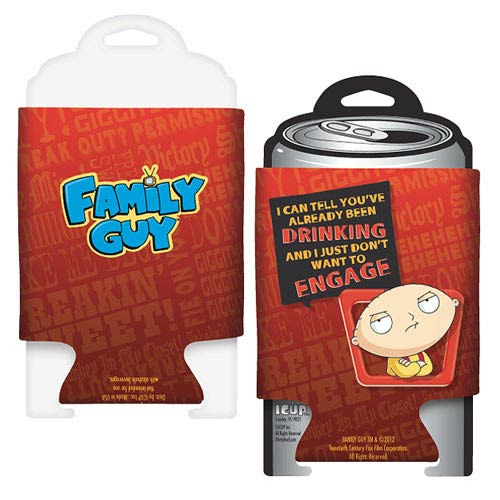 This Family Guy You've Been Drinking Can Hugger is a hilarious accessory for your bottle or can. It features an image of Stewie Griffin with the words, "I can tell you've already been drinking and I just don't want to engage." Hand wash only. Not dishwasher safe.